Easy to do, no sleights required. 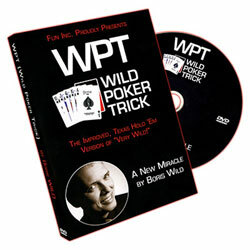 A very clean, direct effect from FISM card champion Boris Wild. 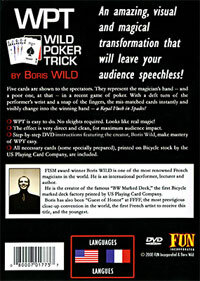 Included is a DVD with step-by-step instructions from Boris himself, and all the necessary cards printed on Bicycle stock from the U.S. Playing Card Company.